To provide a service to homeowners that enhances the beauty and value of their home and community, by using industry leading products and providing outstanding customer service. Let’s talk Roof Ventilation! Good ventilation is a must to preserve the life of your roof, both shingle and metal. 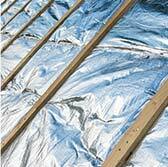 Without good ventilation heat and humidity build up and create moisture that can cause a multitude of issues. At ProCon we don’t just want to sell you a roof, we want to educate you along the way. 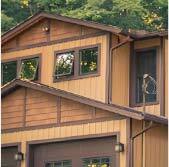 How do you know if your exterior is damaged? Contact ProCon and we will schedule a time to meet at your home for a free assessment. We can advise you if you have a legitimate claim. Quality Roofing & Siding Services in Northeast, Ohio. ProCon Exteriors approaches each roofing & siding project with the customer in mind. A new roof is a big decision. Let us help make that decision as smooth as possible. We’ll provide you with options, fair pricing, and high-quality products. 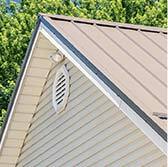 Siding is a large part of your home’s exterior. It’s important to pick siding that will last and maintain its color for a long time. 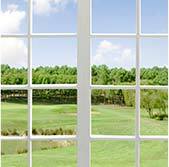 Quality windows and doors not only save energy, they help define your home’s exterior. We can help you choose from our array of quality products and professionally install them. Your Key To A Comfortable Home. Proper Insulation ensures that your home stays comfortable during every season while reducing your energy bills.from our array of quality products and professionally install them. North Star Metals 5 Star Panel in Charcoal Grey. Complete transformation Siding Provia HeartTech Granite with white board effect aluminum window trim. Replacement window were Provia EcoLite White Vinyl with grids. New Doors by Provia fiber glass doors. Cabin in North Lawrence with CertainTeed Presidential Shake Shingle in Autumn Blend. We would love to discuss your next project with you! Reach out to us today for a FREE, no-obligation estimate.